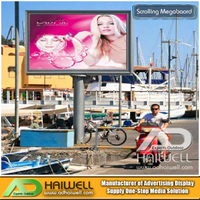 Specializing in Mupi Scrolling LED Light Box! 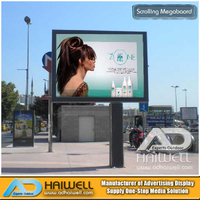 Adhaiwell is a leading manufacturer of Mupi Scrolling LED Light Box with over 10 years of experience in the industry from China supplier. If you are looking for an outdoor ads signs display, scrolling or static advertising light box Supply has the knowledge and expertise to help you make the best decision for your business. 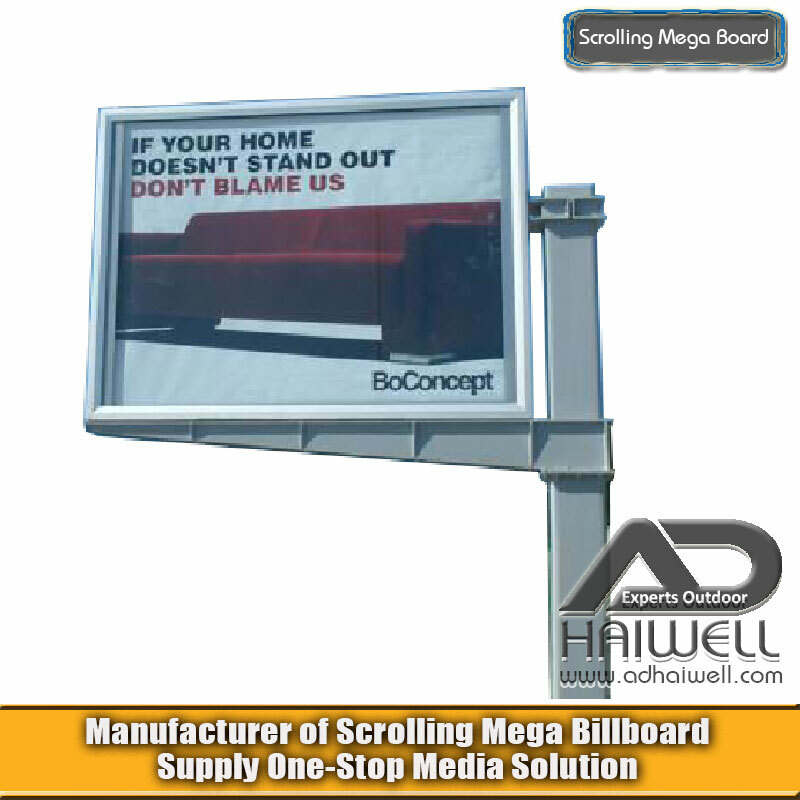 Stand out from competitors with our vibrant and attractive outdoor advertising light box products. 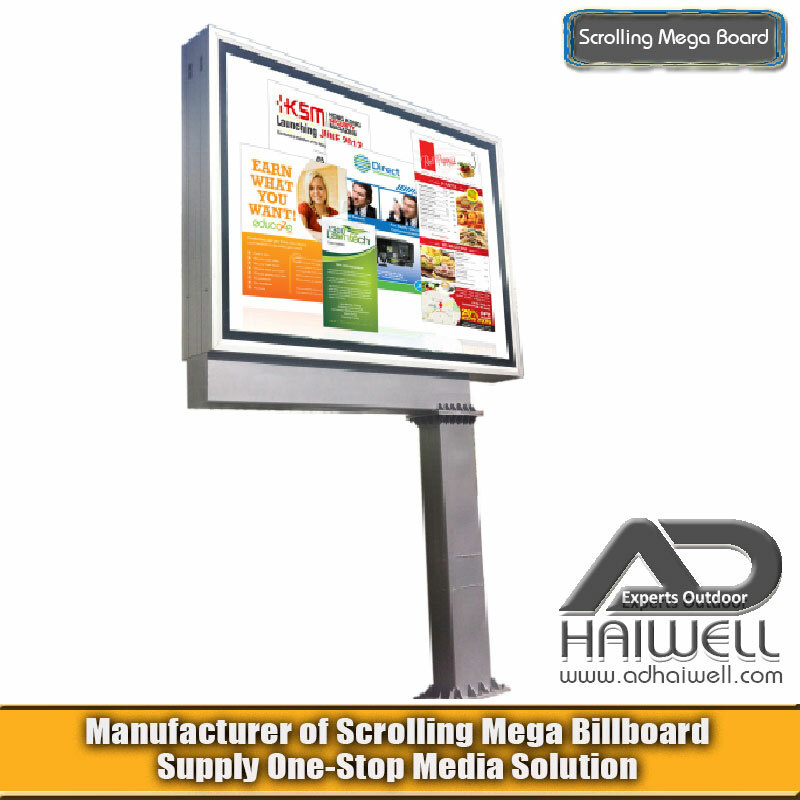 Digital Scrolling Multiple Posters (DSMP) Scrolling Backlit Light Box which is in Aluminum Finish with Simple & Elegant. 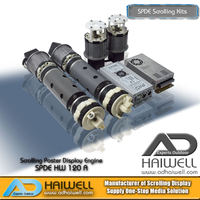 The motor and drive fittings are fixed in the frame, the structure is simple and logical. 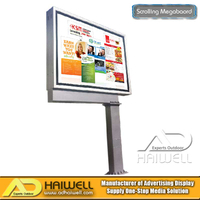 Poster moving time is about 4s, the stop/display time can be controlled 0~999s. It will reach 30cm per second, faster than current poster rolling system You can put up to 2~5 posters. 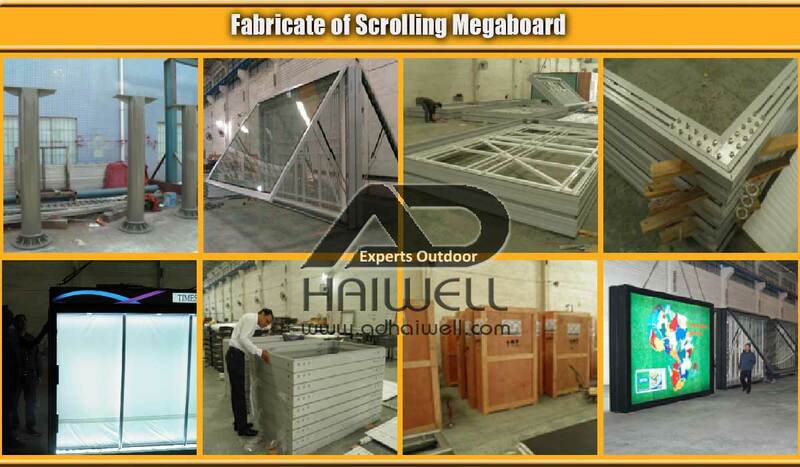 It can be assembled in various outer frames to build a new scrolling light box system, also upgrade the common advertising light box to scrolling light box; the max area can be adjusted according to practice requirement. 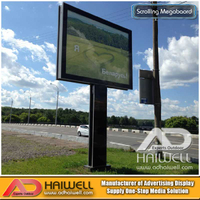 The display time of each image can be adjusted. 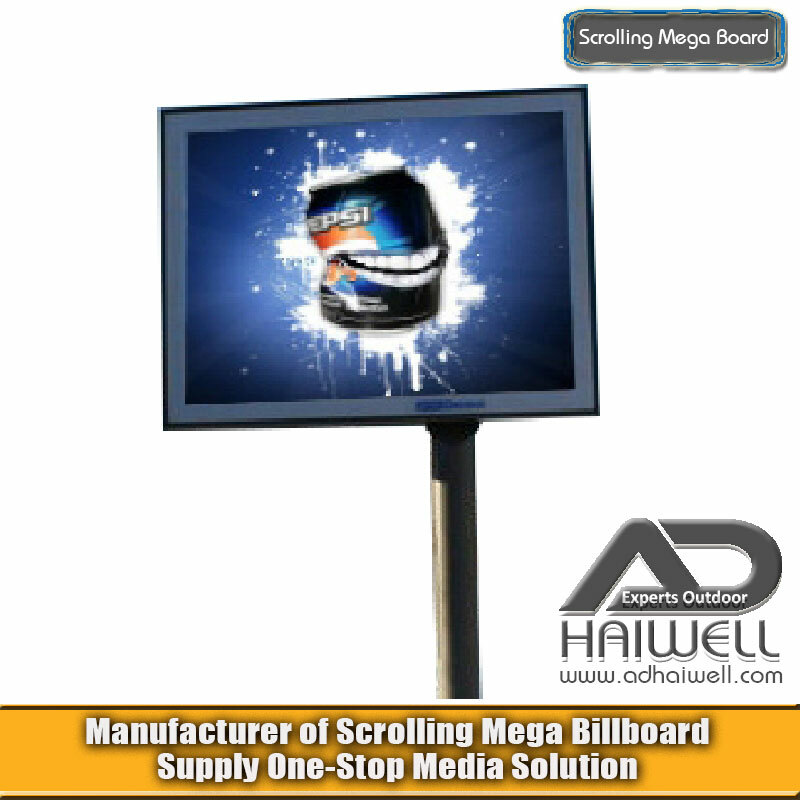 1.Synchronized operation for some scrolling light boxes is possible. 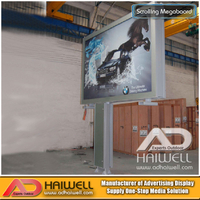 Other function accessories, such as Automatic Poster Setting System. 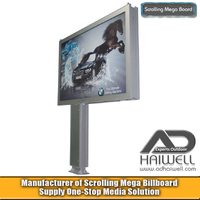 2.Scrolling light box is operated by two motors to drive the upper and lower roller running, enable the poster which roll on the roller move to display on the window screen periodically. 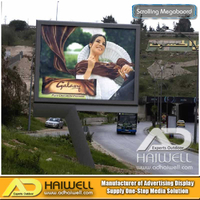 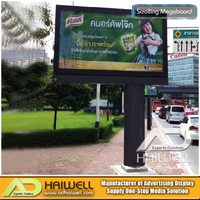 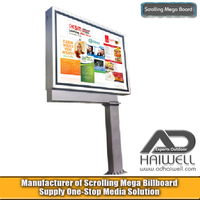 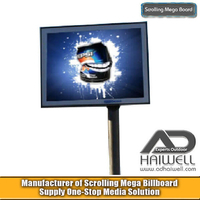 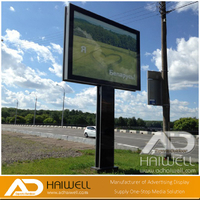 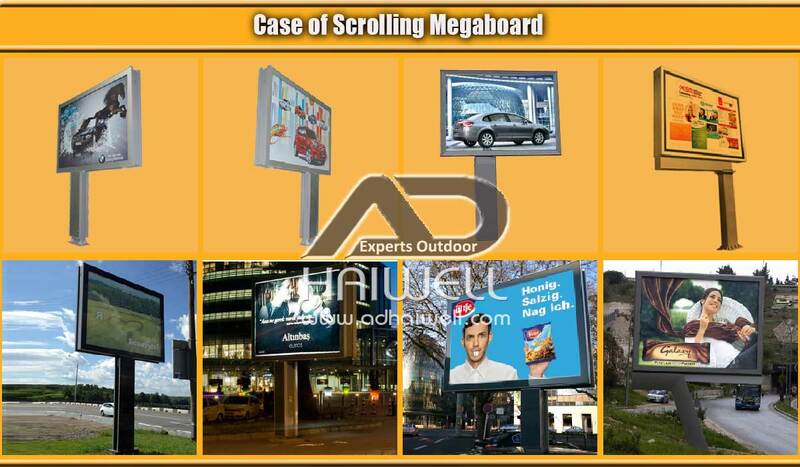 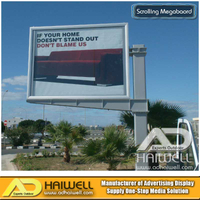 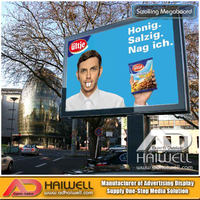 AdHaiWell Provides Various Type of Scrolling Mega LED Light Box Billboard for Your Choices.